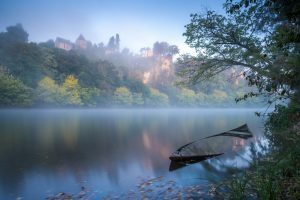 Gareth Kirkland is situated in one of the most sought after areas of the Dordogne, famous for its numerous castles and prehistoric sites. The stunning scenery, renowned cuisine and wonderful climate have earned the region the reputation of being something of a French paradise. 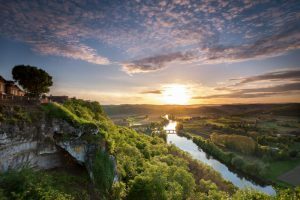 The Perigord Noir is also a region of rivers, with the majestic Dordogne and Vézère winding their way through varied landscapes of green fields, forests and rocky cliffs. The varied local landscape and typical agriculture and architecture give the area its pastoral beauty. Prehistoric sites and cave paintings, temples and abbeys, castles and fortified towns bear witness to more than 300,000 years of human habitation. Although the Dordogne is beautiful throughout the year, it is most beautiful in the spring, when the many fruit orchardsare in bloom; and in the fall, when the light is rich and the landscape alive with colour.